Drops and promotion are two very interesting rules, but they have four important limitations. Breaking one of those limitations means end of the game by illegal move. Double pawn called often nifu (literally two-pawn from Japanese) is often made mistake even by experienced players. “I have lost by nifu! Unbelievable!” is often heard confession. 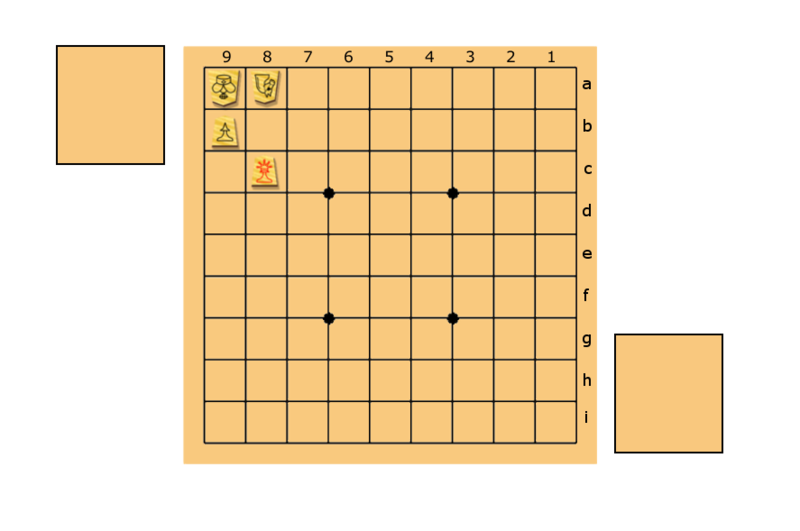 In shogi there are in total 18 pawns. If you could drop them one behind another, you could make an impenetrable wall of pawns. This is why there is nifu rule. Nifu is possible only as a result of a pawn drop. Obviously those rules apply to your opponent as well, but on his end of the board. Now let’s combine everything that we have learned into one big quiz.